Breathable and waterproof with handles for travel. 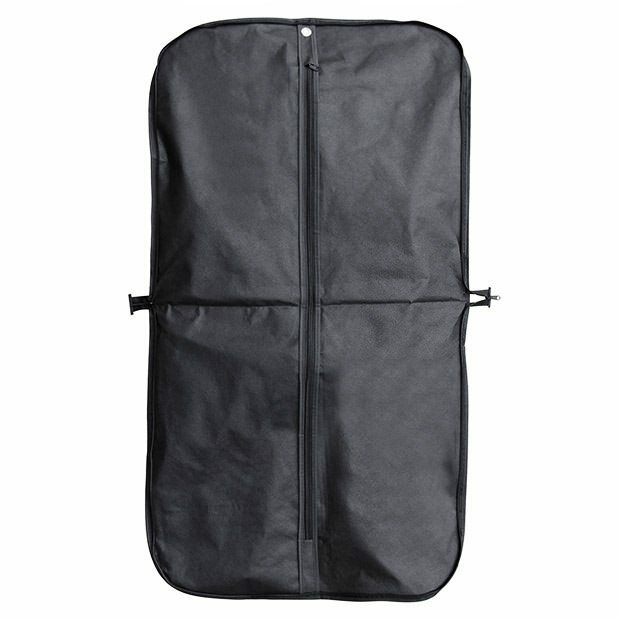 Large external zipped pocket for accessory storage. All around zip secures the carrier once it has been folded in half. Outer side made from soft feel, showerproof, wipe-clean peva. Inner side made from soft breathable cotton-like polypropylene. Do not overfill. Not made for heavy duty use. Safe for long term wardrobe storage - can be hung full length. Superb quality and value for money! Size:Length x Width 44'' x 24'' (112cm x 61cm) approx.